Winter, spring, summer or fall, the mountains never lose their magic. 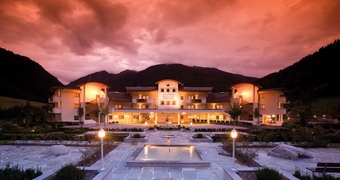 The kind of magic waiting to enchant guests at Hotel Majestic di Brunico, Alto Adige. 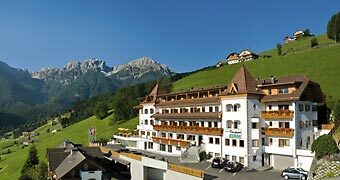 A romantic hotel and mountain spa resort in the heart of the Valle Aurina. 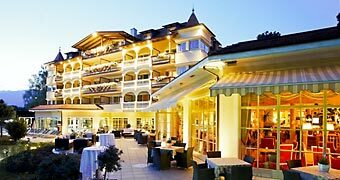 Surrounded by the Zillertal Alps, Selva dei Molini is situated in a valley, the Valley of Selva dei Molini, rich in meadowlands and with a typically rural landscape. The inhabitants continue to observe local traditions and customs whilst at the same time embracing the new with a spirit of genuine hospitality. Selva dei Molini is the ideal point of departure for a number of walks and excursions, which are suitable for both expert climbers and for those simply wishing to enjoy a leisurely walk, along well kept pathways through woodlands and along the river banks. Favorite destinations include the Porro Refuges and the Ice Bridge and artificial lake of Neves. For those searching for rest and wellness, a number of establishments offer a variety of treatments from baths, to massages and Kneipp therapy. Those interested in mountaineering will be unable to resist the appeal of the heights of Gran Pilastro, Cima Bianca, Gran Mesule and Turnerkamp, all well above three thousand meters in altitude. 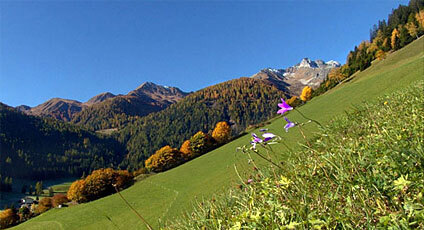 In the immediate vicinity of Selva dei Molini one finds Lappago.